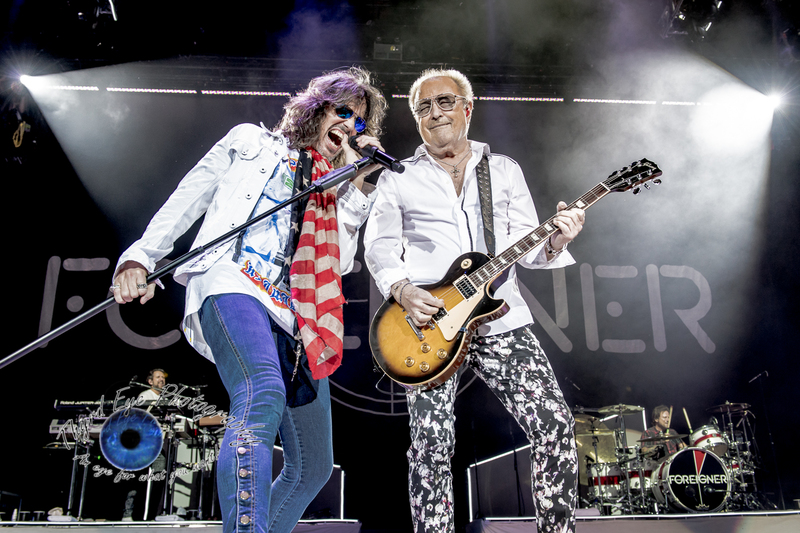 Foreigner performing Wednesday at Hollywood Casino Amphitheatre. Photo by Sean Derrick/Thyrd Eye Photography. 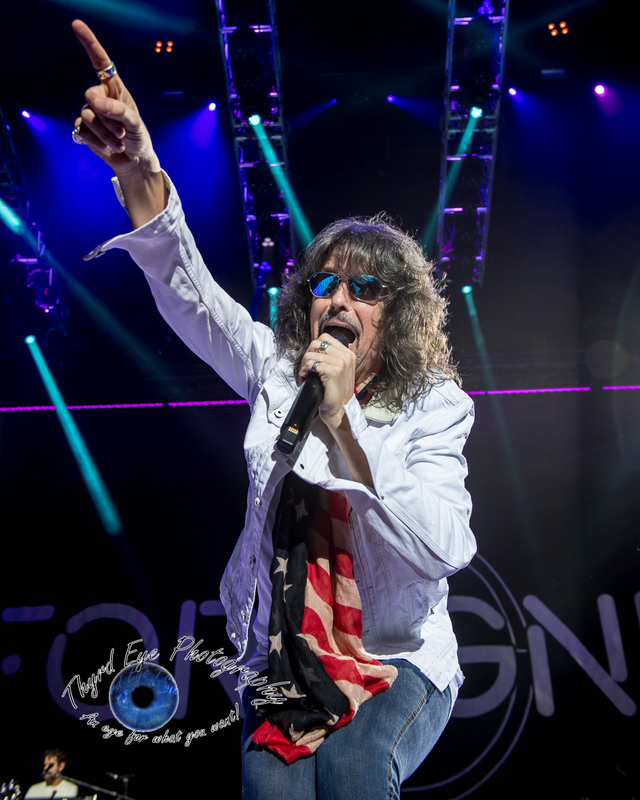 While the rock group Foreigner’s lineup may have changed several times over the years one thing has remained consistent: the quality of their live shows. 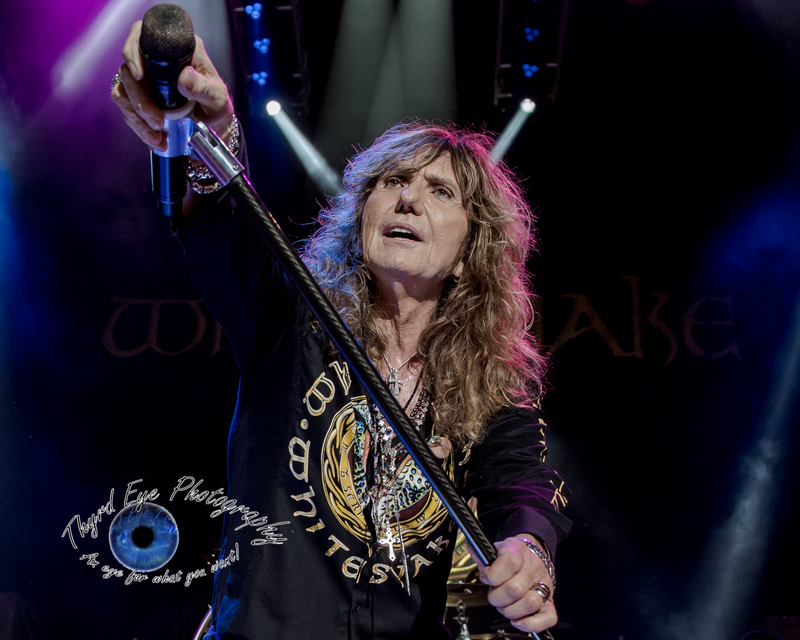 Fans who attended their Juke Box Heroes Tour stop with Whitesnake Wednesday at the Hollywood Casino Amphitheatre in Saint Louis were reminded of that fact, and judging by the fans reaction to the show, they loved every minute of it. Let’s get this out of the way right now; You know who I am talking to – the people who say they won’t see or listen to a band if the original lineup isn’t the same. While it is true that this isn’t the original lineup, you must have stopped listening to the band in 1980. Because by the time their huge hit album 4 came out in 1981 half the band had parted ways. And if you stopped listening then, well, it is a shame since you missed great songs like “Urgent”, “Juke Box Hero”, “I Want to Know What Love Is”, ‘Waiting For a Girl Like You”, “That Was Yesterday” and others. 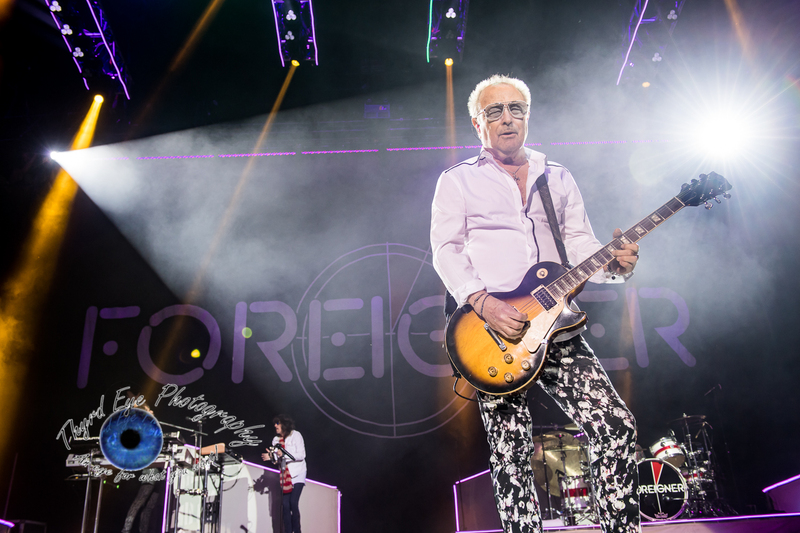 Since Jones is a founding member and wrote the vast majority of the songs (yes, many were co-written with Gramm) and the fact he owns the rights to the name Foreigner plays a huge part. 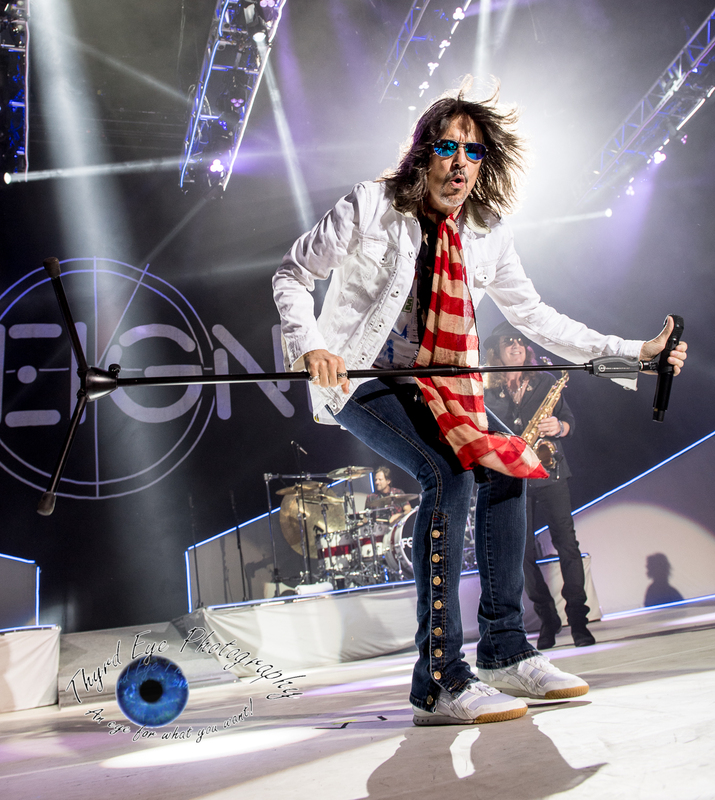 Jones as put together a solid lineup of musicians who have shown time again that they have the energy and charisma and talent to carry the Foreigner name. This is most evident in vocalist Kelly Hansen and bassist Jeff Pilson, both of whom have been with the band for over 13 years. In Hansen you have an Energizer Bunny wrapped around an astounding voice with a fan friendly attitude, who is consistent whether he is on stage, running laps through the crowd, or performing Juke Box Hero from a 20 foot high platform in the middle of the venue. 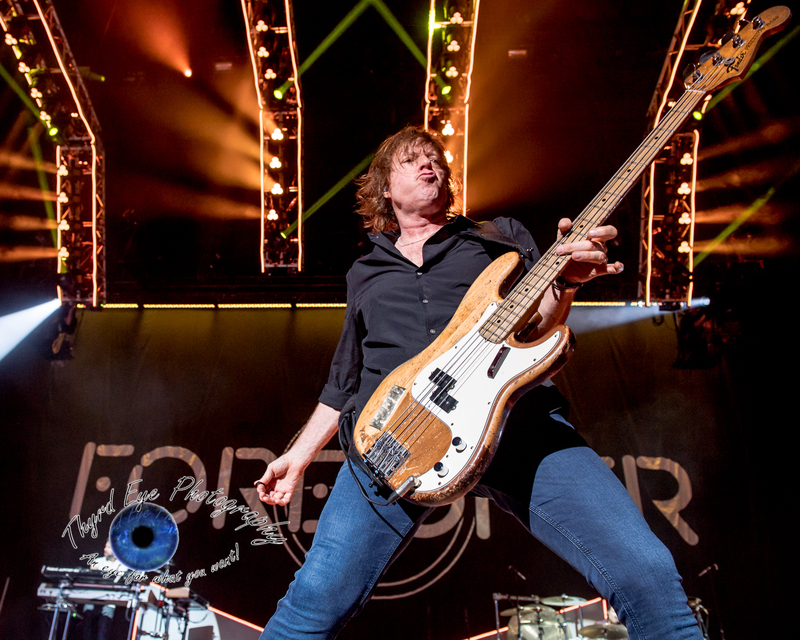 Bassist Jeff Pilson brings multi-dimensional talent and a rock star enthusiasm who leaves everything onstage every night in his sweat drenched clothes. As a photographer, I always love shooting this band as I know there will be great shots and action from all the members, but especially Hansen and Pilson. Kicking through hit after hit the band (which now features guitarist/saxophonist Thom Gimbel, keyboardist Michael Bluestein, Bruce Watson, and drummer Chris Frazier to play with Jones, Hansen and Pilson) sounded superb and spot on. Just like they do year after year, show after show. The set ran almost identical to their 40th Anniversary Tour show last year with a few minor changes. (They added “Long, Long Way From Home and kicked off with that while dropping “Blue Morning, Blue Day”). Personally, I have wanted to see them perform “That Was Yesterday” again, but I haven’t since I saw them perform in at Fair Saint Louis in 1995, eight shows in all. Unlike last year, where heavy rains forced the local choir that was supposed to perform with them to cancel their appearance, this year the Park Hills, Missouri Central High School Concert Choir was able to back up Foreigner during the encore of their massive hit “I Want To Know What Love Is”. It was a nice to see the kids get a chance to share the stage and perform well with a band that, in my opinion, should be in the Rock and Roll Hall of Fame. Whitesnake is celebrating their 40th anniversary this year and the band (with founding member David Coverdale-vocals, Tommy Aldridge – drums, Reb Beach – guitar, Michael Devin – bass, Joel Hoekstra – guitar, Michael Luppi – keyboards) brings it like it is still 1987 in true Rockstar fashion. Whitesnake performing Wednesday at Hollywood Casino Amphitheatre. Photo by Sean Derrick/Thyrd Eye Photography. 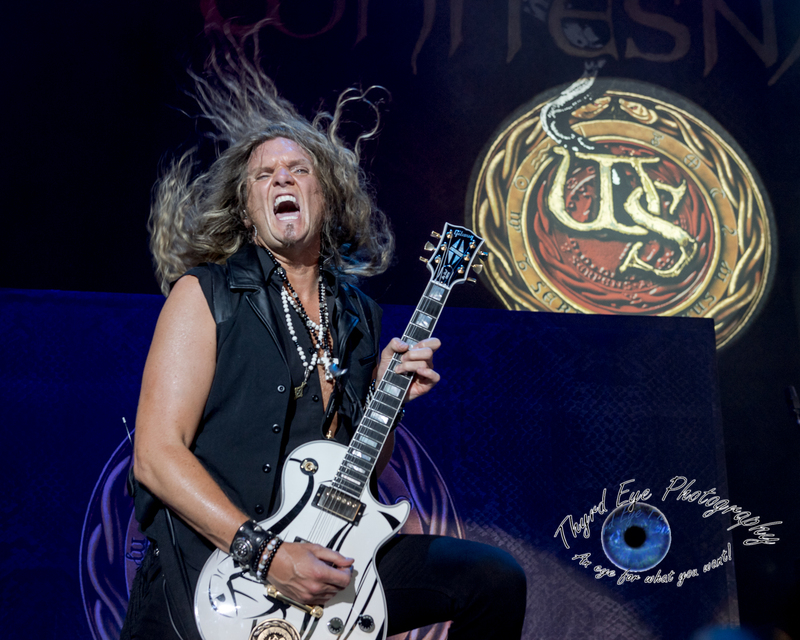 With guitarist Joel Hoekstra’s continuous rock star poses and hair whipping (not to mention is great work on the axe) it was hard not to focus on him during their set. 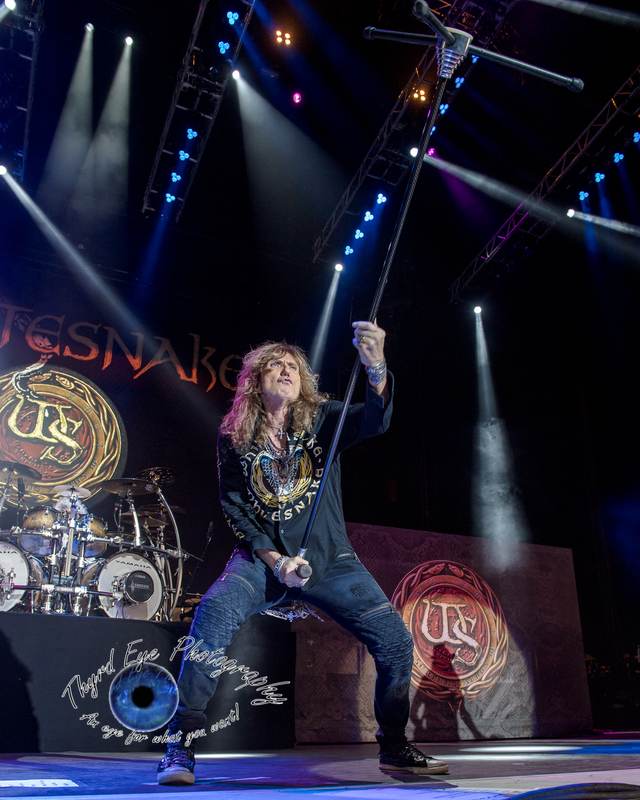 Coverdale did his signature mic stand poses to compliment his larger than life stage presence. Even though his vocals have dropped a bit (he makes up for it with more growling and allows Michael Devin to sing some of the more strenuous parts – along with audience sing-a-longs, he makes up for it in attitude, charisma, stage presence, and energy. The band played an hour long set that finally got he blood pumping in the crowd that was mostly subdued during opener Jason Bonham’s Led Zeppelin Experience. Unfortunately, because they sounded great performing Jason’s dad’s songs from Led Zeppelin. As Jason said “I guess it’s too early to get the Led out”. 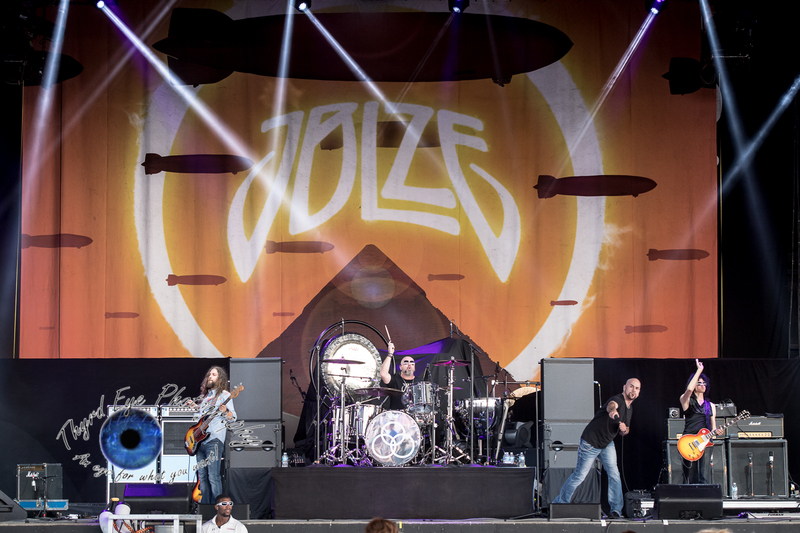 Jason Bonham’s Led Zeppelin Experience performing Wednesday at Hollywood Casino Amphitheatre. Photo by Sean Derrick/Thyrd Eye Photography. C’mon Saint Louis, you are better than that. Solid show, top to bottom. Be sure to check out the complete gallery of images from the evening after the setlists.